In 2007, FEMA began redrawing the flood-zone maps in the greater New York region; perhaps spurred on by hurricane Katrina in 2005. The result is that some areas that were once considered low-risk have become high-risk. That means borrowers in the high-risk zones must purchase insurance against hurricane or flood damage to their homes. Apartment owners paid little attention since the new requirements affected owners of single-family homes near coastal areas. But as the flood-zone map has undergone changes, condo and co-op owners are not only paying attention; they are downright paying. Lenders are requiring that city dwellers; no matter how high they reside in their buildings, purchase individual flood-insurance policies or that their buildings buy policies as a requirement for obtaining a mortgage. After Sandy, Sen. Charles Schumer (D-N.Y.) sent a letter to HUD urging the agency to create programs to help co-ops and condos. The huge multi-building complexes, unique in many cases in the New York region, are not eligible for Federal Emergency Management Agency grants, but can apply for low-interest loans to help pay for repairs. “Condos and co-ops should be eligible for the same assistance as single-family homes, and to say one can receive aid while the other can’t makes no sense,” Schumer said in a statement. “The federal government should allow some of the funds from the Sandy aid bill to right this wrong.” HUD allotted $1.77 billion of the federal aid to New York City, which will determine how to spend the Community Development Block Grant Disaster Recovery funding. In the battered Rockaway Beach, the Dayton Beach Park Co-op suffered extensive damages. The 1,150-unit complex was flooded and lost its boilers, water pumps, hot water heaters and laundry room. But the co-op’s insurance isn’t footing the entire bill for all the needed repairs. Glen Oaks Village, a 3,000-unit co-op in Queens suffered about $300,000 in damage in the storm. But insurance only covered about half of that. The 43-unit Beach House, in Rockaway Beach, had $1 million in damages. Called the National Flood Insurance Program and underwritten by the Federal government, it can insure individual unit owners who pay directly for their flood coverage or the entire building, which divides the cost among residents as part of the common charges. Recently, FEMA announced building owners already covered under flood insurance could renew their policies at low-risk rates even if they were recently mapped into a high-risk zone. 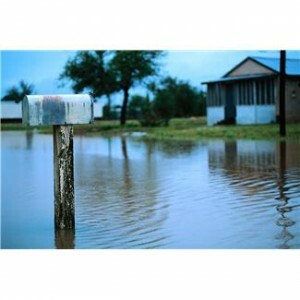 As a result, lenders will likely accept private flood insurance in lieu of NFIP. Steve Viuker is a Brooklyn, New York business journalist. He has covered real estate, small business and banking for numerous national online and print media.